It is a legal requirement for Landlords to have an annual Gas Safety Certificate or CP12. Without it you can be fined, prosecuted and have issues evicting a tenant. Our Gas Safe registered engineers will issue your Gas Safety Certificate (CP12) and we can also service your boiler if required. We carry out repairs and install new boilers too. Need a Commercial Gas Safety Certificate? Call us for a quote on 07866 022380. We cover a wide area including Bradford, Wakefield, Harrogate, York, Doncaster, Sheffield, Huddersfield, Halifax, Barnsley and surrounding areas. If a landlord does not have a valid gas safety certificate, or does not do works required, the Health and Safety Executive (HSE) has the power to prosecute. Failure to follow gas safety requirements is a criminal offence and can be punished by fines or imprisonment. In addition, for new tenancies starting on or after 1st October 2015, landlords who fail to provide a gas safety certificate to the tenants will not be able to serve a section 21 notice on the tenant. It depends on the number of appliances but usually 30 minutes to an hour is enough to complete the report. If pre-payment meters are present, make sure there is credit or working supply for both gas and electric. Our engineer will need clear access to the gas meter and any gas appliances you have – boilers, hobs, cookers and fires. checking any flue or chimney to make sure combustion gases (fumes) are being safely removed to outside. checking an appliance is burning the gas properly. Annual Gas Safety Checks: a 12 monthly gas safety check must be carried out on every gas appliance/flue. A gas safety check will make sure gas fittings and appliances are safe to use. Maintenance: pipework, appliances and flues must be maintained in a safe condition. it is recommended that appliances are serviced annually. 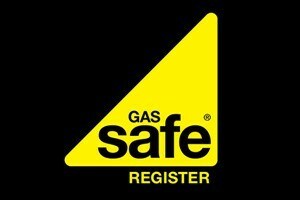 Landlord safety checks must be carried out by a Gas Safe registered engineer. Gas Safety Certificate Leeds, Gas Safety Certificate Wakefield, Gas Safety Certificate Halifax, Gas Safety Certificate Huddersfield, Gas Safety Certificate Bradford, Gas Safety Certificate Sheffield, Gas Safety Certificate Barnsley, CP12 Gas Safety Certificates York, Gas Safety Certificate Harrogate, Gas Safety Certificate Doncaster.